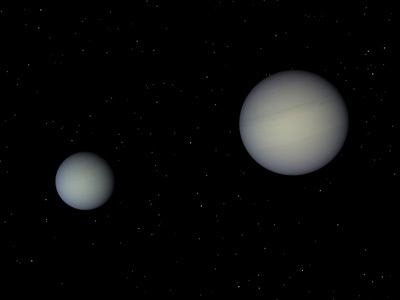 Cyania and Azuria are a binary gas giant in the Epsilon Indi system. The time is about a thousand years in the future. The Dandelion Project was the most ambitious voyage of exploration ever undertaken. The Dandelion Project was a major project funded by several wealthy space mining corporations and a few Earth governments beginning in the late 24th century. For over a century, the Dandelion Project launched probes to the nearby stars. Through the Dandelion Project, Humanity sent a total of over a thousand interstellar probes to most star systems located within thirty light years of the Sun. Each probe carried a small wormhole with it, through which it received its fuel and sent back its discoveries. Without the burden of a fully-laden fuel tank, these wormhole probes could travel at colossal speeds. Most reached six per cent of the speed of light, about 18,000 kilometres per second. These probes spent decades, even centuries, coasting in the vast empty spaces between the stars before reaching their destination and slowing down so they could enter orbit in their target star system. Samara is an ice-bound world with an eccentric orbit that is suitable for terraforming. It is located in the 61 Ursae Majoris system. Most of the probes did not make it. Many died through mechanical failure. Some were destroyed when they collided with something in interstellar space. Some probes lost their link to the solar system when the metastable wormholes that they carried imploded. Occasionally a probe would reach its destination safely, only to keep on going when a mechanical failure prevented them from decelerating into a safe orbit. The probes that succeeded in their mission reported many wondrous discoveries. The probes explored volcanic worlds in close orbit around their star, ice worlds, binary gas giants, and the sunsets of a thousand new worlds. The probes discovered several worlds that could be terraformed for future human colonisation. Binaria Minor looms in the sky over Binaria Major. Most wonderful of all, the probes encountered several lifebearing worlds. Some of these worlds had been known to science for centuries, but it was the probes that proved that life existed on these worlds. Some lifebearing worlds were new to science, and it is these that caused the most interest. 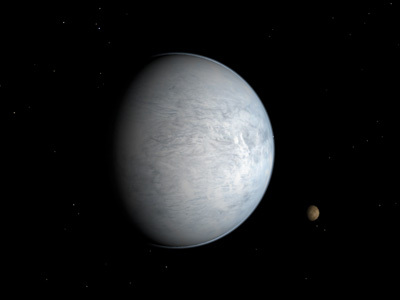 The probes explored several kinds of lifebearing worlds, such as water worlds with plentiful oxygen in the atmosphere, water worlds with a carbon dioxide atmosphere, dessicated desert worlds that had lost most of their primordial water, and frozen worlds with oceans of liquid water below a layer of surface ice. Most of the lifeforms were single-celled microbes, although on a few worlds these microbes included strains that gathered together in communities. On these worlds, some species of microbes gathered in mats covering rocks, delicate streamers that floated free in the water or were attached to supports, or other communites. These communal microbes blur the distinction between single-celled and multicellular life. 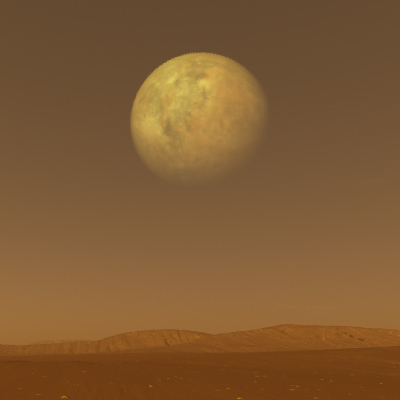 Only on two worlds did the probes discover primitive multicellular life. Laria (Xi Boötis A 3) has a wide variety of primitive multicellular creatures like the sponges of Earth. Humus (61 Virginis 4) has more advanced lifeforms that resemble worms and starfish. Many other systems were also of interest. Some systems contained worlds were terraformed into new worlds for people to colonise. Some systems were rich in resources that could be mined. Whether for work or to start a new life, whether they were there for a few months or permanently, these systems became home to millions of people. These pages chronicle the stories of these systems and the people who made them their home. No hyperspace or warp drive. No chemical elements that are unknown on Earth (except for trace amounts of transuranium elements). Local Space assumes for plot reasons that stable, traversible wormholes can be constructed. The wormholes form the core of the Stargate Network. Interstellar travel can only be undertaken between two star systems that are connected in the Stargate Network. However, the addition of a star system to the Stargate Network requires that a wormhole be shipped to that star system at sublight speeds which can take a century or more. Thus, any star system that loses all its links in the Stargate Network cannot receive traffic from other star systems until a new stargate arrives at sublight speeds from another node in the Stargate Network. As a consequence, access to the Stargate Network is tightly controlled to minimise the chance of sabotage or terrorist attacks. Another precaution against disconnection is the policy of having at least two separate Stargate nodes in any system, so an incident that damages a node will not permananently disconnect the star system from the network. Intelligent life does exist in the Local Space universe, but the setting of Local Space is in a time when such life has yet to be discovered. In the Local Space universe, microbial life is common but intelligent life is rare. The Drake Equation in the Local Space universe has a value between 0.5 and 5. The descriptions of the fictional planetary systems use the planetary classification system developed for the ArcBuilder Universe by J.M.Dollan. Illustrations of planets on these pages were produced using Celestia, which is free planetarium software. Landscapes are rendered using Terragen. The following are links to similar worldbuilding projects. Orion’s Arm — A large communal worldbuilding project. ArcBuilders — A smaller worldbuilding project similar to this one. Planet Furaha — A fictional system of planets orbiting the star Nu Phoenicis. Other links that may be useful.